Find My Workspace lists over 95% of the business centres market in Iver. Simply click Request Quote to check pricing for one office, or Add to Basket for multiple offices. 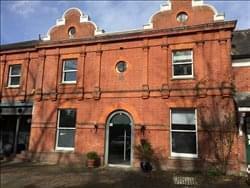 Leased office space available in a beautiful period building within secure rural grounds located in Iver, Buckinghamshire. There is gated entry into a private rural estate which offers a unique setting for your office base. The suites available are unfurnished and can accommodate from two to four people and are offered on a 12-month lease. Gas, electricity and water are included in the rental charge and there is access to a shared kitchen. The communal areas are cleaned weekly and the building is very well looked after, providing a clean and attractive working environment. Storage space is also available on site for an additional charge. Parking is available through the gated access entryway.